Zurich is a global multi-line insurer that services customers in both global and local markets, providing a diverse range of property and casualty products and services as well as life insurance. Zurich’s customers fall on a broad spectrum, from individuals to small businesses, and mid-sized to large firms, along with multinational corporations. Personal lines offerings include car and home insurance, as well as general liability and travel insurance. The range of commercial insurance offerings is even more diverse and includes solutions for property, casualty, financial institutions, management or professional liability, trade credit, political risk, marine, automotive, and cyber risk. Zurich also offers products that focus on protecting companies’ employees, and its service menu consists of claims management, key insights on emerging trends and risks in the insurance space, risk engineering solutions, and captive services. Zurich has its roots in Switzerland, where it was founded in 1872 as a marine insurer with the goal of writing marine reinsurance for the parent company while building up its own marine book. A global leader today, Zurich had worldwide reach early on, when in 1872, its business accounts showed business relations as far as New York. Over the years, Zurich moved into accident insurance, before expanding access to its solutions to a growing middle class population in Switzerland by offering a personal accident policy for workers. The insurer entered the broker distribution channel in 1892 when it signed a contract with a Belgian insurance broker to sell its products. Belgium, Russia, and Spain housed a few of Zurich’s first offices abroad, all before the turn of the century. By 1912, the company attained the business licences required to operate in the US, and in 1923, opened a branch office in Canada, eventually expanding into its fifth continent when it acquired the Australian Commonwealth General Assurance Corporation. It later increased its presence in Asia when it acquired a minority interest in the largest Philippine insurer in the region in 1980, and later received an insurance licence to open its doors in Japan. The company also had a key role in some of history’s major events. During the First World War, Zurich launched accident insurance for soldiers serving on the front, and in 1933, Zurich was awarded the leading contract of the liability insurance program for the World’s Fair in Chicago. In 2019, the company continues to thrive, reporting a business operating profit of £3.5 billion in its 2018 results, which reflects an increase of 20% from 2017 figures. Group chief executive officer Mario Greco stated that the company was happy with the results, which were all customer-led. 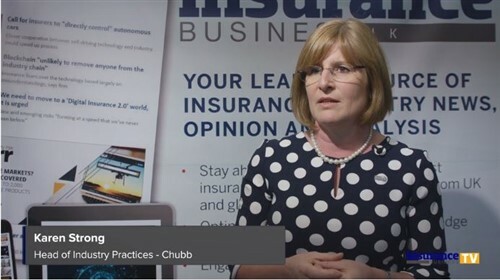 As a thought leader, Zurich provides insights on the fast-moving insurance market as well as developments around the world that are having reverberations on insureds and their insurers. In 2019, Zurich was a strategic partner in producing the World Economic Forum’s (WEF) Global Risks Report, which revealed that worsening economic and political tensions between superpowers expected over the course of 2019, in addition to intensifying extreme weather conditions and the failure to implement climate change policies over the coming decade were the main threats on the minds of nearly 1,000 decision-makers surveyed sector-wide. As globalization and digitalization increase connectivity between people and businesses all over the globe, companies need to keep a close watch on threats and risks, no matter where they originate. Severe weather events in 2017 and 2018 meant that natural catastrophes were also high on the list for respondents of the WEF’s Global Risks Perception Survey, the results of which underpinned the 2019 report on global risks.